It's been six years when I last visited Villa Escudero Plantations and Resort. It was my birthday when I first visited the place and I can still remember how I get there, via commute. 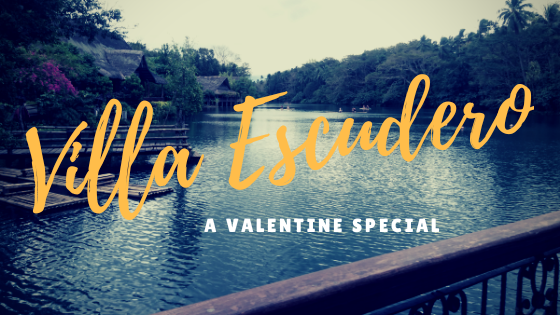 But today, since my inlaws and I were talking on where to spend our Valentines day, they told me that they wanted to go to Villa Escudero for a long time but was always postponed. So I told them that getting there is easy. Since they have a car, they just suggested that we go there via private transportation. Yay, so as the saying goes, "mabuti pa ang biglaan at natutuloy.". 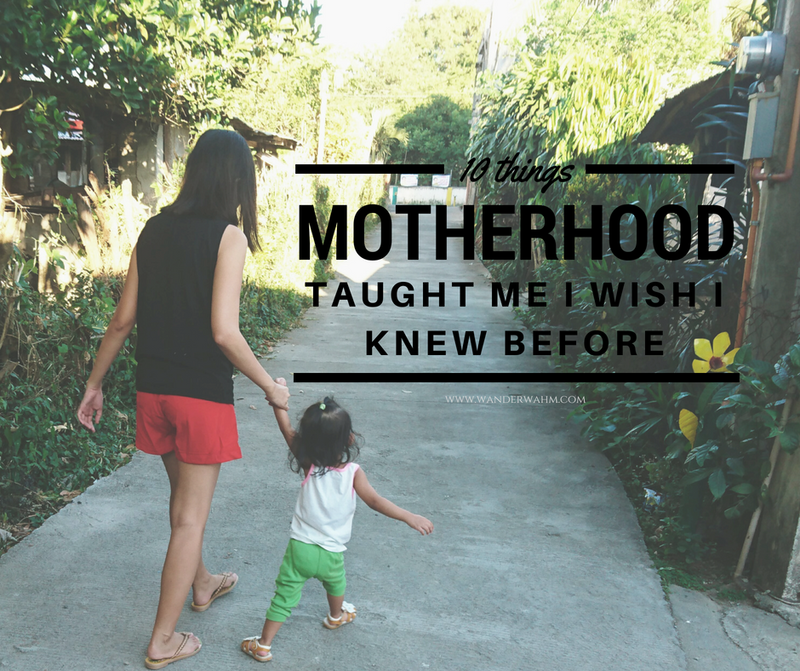 We left home at 7:30 AM in the morning and took the best route which is via Ibaan-Rosario way. It was just an hour ride going there and we use the Google Map which is a new learning for me. I didn't thought that using Google Map would really be useful with navigation. I was surprised that the entrance is not the same with before. They have the facade that says "Villa Escudero" on both sides. I was amazed of the improvement only to realize that it was not really the entrance and we use the other one which leads to the underdeveloped community. lol. Upon entering the vicinity, of course the rates are also much higher than before. It is now Php1450.00. You will still be welcomed with drinks, "sago gulaman". They will give you the tickets needed in Museum Tour, Carabao Ride, Lunch at Labasin Waterfalls and Bamboo Rafting. I was glad of my 2nd visit too since I haven't roam the Museum before. The Escudero Private Museum is one of the largest museums in the country. Various artifacts have been collected from all over the world. From antics to different collections of money, clothes and even the preserved animals, memorabilia from the history, ornaments, religious artifacts and statues and different history of people in the past. Hence, use of camera is not allowed inside. But if you are fond of history then you must visit this museum as you will learn so much in just one tour! Enjoy a leisurely paddle on a native bamboo raft on the still waters of the river. Paddling is hard but the experience is worth it. Our tour is just right for the activities. 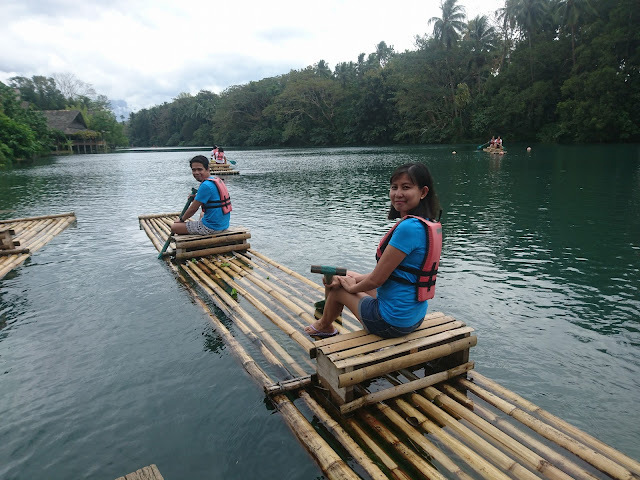 In every bamboo raft, 2 persons can ride on it. You will be given a vest first and they will instruct you that no standing is allowed in the raft. Just sit and paddle until you circled on the river. Good thing that it was a gloomy weather when we submerged. The Labasin Waterfalls Restaurant is one of the center-pieces of Villa Escudero. Enjoy our traditional Filipino buffet lunch, kamayan style, while soaking your feet in the shallow running water. 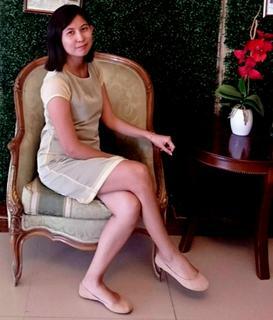 If you have relatives who came abroad and wanted to experience again the Filipino style and taste the authenticity of filipino foods, then you should take your visitors here. They still serve good food. I am so glad that my inlaws especially my husband enjoyed the food. Upon touring at the vicinity and taking you to the waterfalls restaurant, a carabao ride is waiting and will serenade you while you feast your eyes into the wide area of the resort. You will see trees and different Filipino gestures in the statue forms. There is no scheduled show when we get there but it's okay since we just rest for awhile beside the swimming pool area. The kids swimming pool which is new addition and still under renovation will be fully developed until March. To no avail we are also not that ready for this sweet escapade and they impose a strict rule on wearing the proper swimming attire. Even cotton shirts on white color is not allowed. So we just rested for awhile and just watch those who swim on the pool. The day tour is worth it. Even if it's expensive, we enjoy every bit of it much more on the lunch buffet. 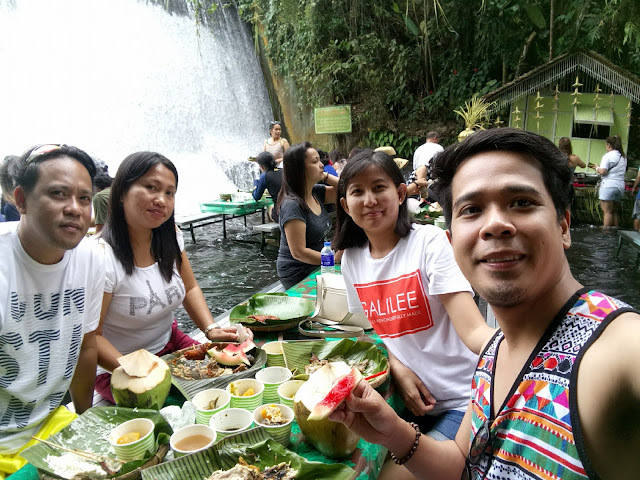 We bought some souvenirs before we head back home and keep on chattering that we should visit again next time and bring my mother in law so she can also experience the wonders of Villa Escudero. So how did you spend your Valentines day so far? If it weren't for a double celebration, Vday and 5th Wedding Anniversary in which the latter husband will not be able to celebrate with me since he is going back to Saudi, we wouldn't dwell on this unexpected daytour too.